Though one should never underestimate the company’s ability to surprise, Apple is a creature of habit. That said, as the iPhone 4S was introduced on October 4, 2011, look for the 7-inch iPad, as well as the iPhone 5 and 2012 iMac, to launch at an invitation-only media event in Cupertino during the first week of October. I believe the iPad Mini (or whatever it’s going to be called) uses the same display as the iPhone 3GS. So instead of cutting these sheets into 3.5-inch 480×320 displays for the iPhone 3GS, they’ll cut them into 7.85-inch 1024×768 displays for the smaller iPad … [F]or developers, the iPad Mini acts just like an iPad 1 or 2: same number of pixels, just a little smaller physically. However, according to MyDrivers.com (Chinese), Apple will outfit the iPad mini with a Sharp IGZO (indium-gallium-zinc-oxide) panel that’s very thin and delivers 330 pixels per inch, making it a Retina (326 PPI) quality display. 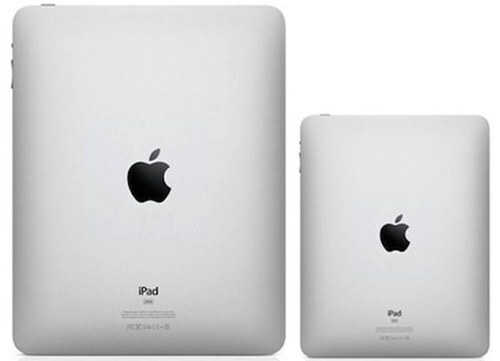 As to the 7-inch iPad mini’s internals, the easy choice for processor is the A5, perhaps an underclocked variant or even an X variant of the A4 chip, which could be shared with the fifth generation iPod touch. Whereas the fourth generation iPod touch and iPhone 3GS, both still selling well, get by with 256MB of RAM, twice that number seems a safer bet vis-a-vis compatibility with future versions of iOS. On the issue of price, Gruber and MyDrivers also differ, though they swap positions on how aggressive Apple will be. For example, whereas the Daring Fireball pundit wouldn’t be surprised to see 8GB and 16GB models priced at $199 and $249, respectively, MyDrivers pegs the price spread for an 8GB model from $249 to $299. That said, unlike either Amazon or Google, which are selling the Kindle Fire and Nexus 7, respectively, at or below cost, Apple will configure the 7-inch iPad mini not only to sell, but also make a neat profit. What is your ideal iPad mini configuration?